Hello again! It is a rainy Sunday here on the East Coast, and storms often bring with them some sort of change. Before the rain the trees were green, after the rain we began to see the change to yellow and brown. It is also fortunate because if there wasn’t the rain we wouldn’t appreciate the sun, and vice versa. And with the benefits of change in mind, lets think a bit about charts. 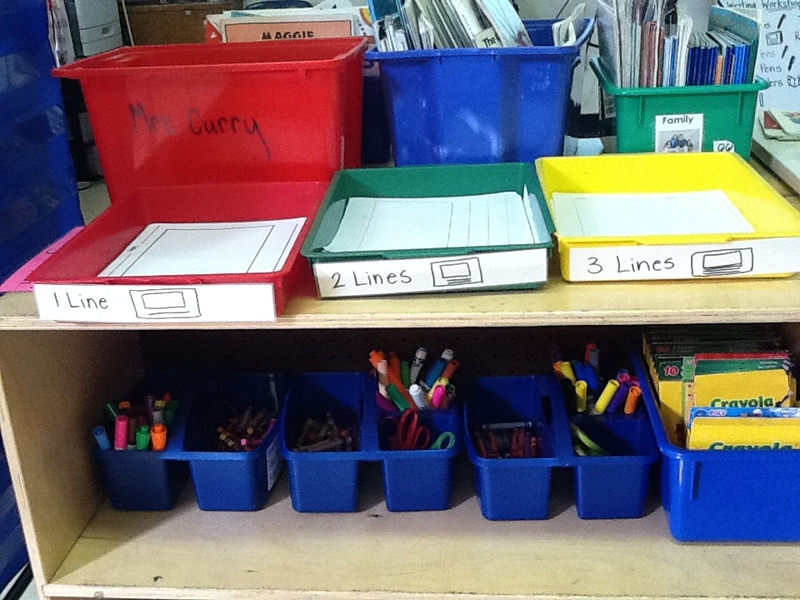 This week’s post is really about the way charts grow and change over time in a classroom. Charting will never be static, it is not something that can be done ahead of time and then sit for a year on the wall. Charts, like all living documents, need to be created with your classroom community and grow as you teach more, or as classroom needs change. 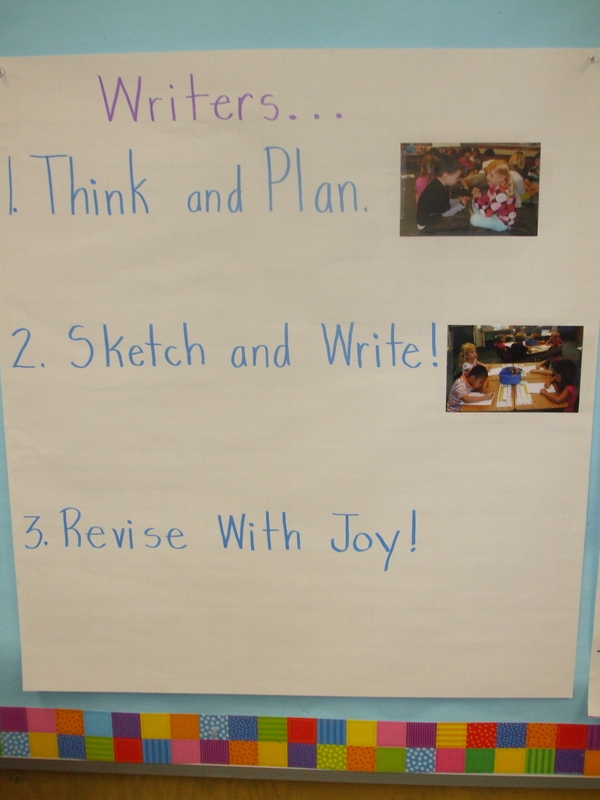 Below is a series of photos from a first grade classroom that records how the writing process chart grew and changed over the first few days of school. These photos come from the incredible Tricia Newhart, who teaches in Orinda, California. A word about Tricia- when we close our eyes and imagine the ideal “workshop classroom”, Tricia’s room comes to mind. Her responsiveness to children, knowledge about reading and writing, and her absolute fearlessness and bravery in trying new things makes her an inspiration to all! Enjoy the week ahead as you begin to wind down some old units this week and look to start some new ones. 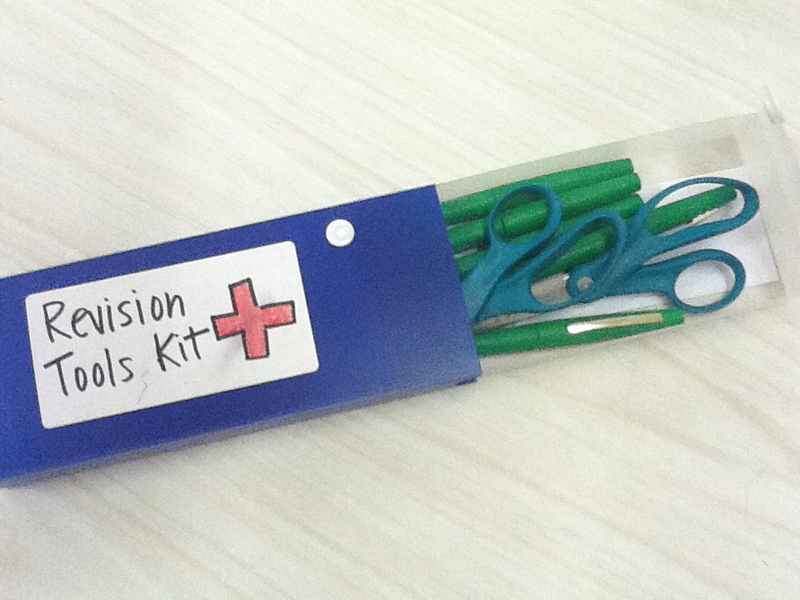 We hope you will carry some of this with you into your planning with colleagues! Congratulations! Many of you have completed the first week or two of school, and that deserves a little celebration. So sit back, pour yourself a cold glass of …. water, and peer into some classrooms in K, 1, and 2 to see how they are making the most of these first school moments. The pictures in this section are from one school in New York City’s Chinatown neighborhood, PS 1. As you can imagine, many of the children do not speak English as a first language, and yet you will see that these teachers have jumped right in and begun some incredible work inside of the writers workshop. Our idea in sharing these is not that you feel compelled to copy these insightful tools for independence, but rather you feel inspired to invent your own. The majority of these pictures hail from the classrooms of Rosie Young (a brilliant and dedicated first grade teacher whose kindness will knock you over), Karin Ma (a teacher who inspires such a passion for writing in her students that last year they successfully lobbied the board of education for an air conditioner through their letters) and Maria Willis (a second grade teacher whose belief in what children can do results in volumes of powerful writing every year). We will point out some things you may want to notice, so that when you make your own chart magic, you can rely on some of these tips! 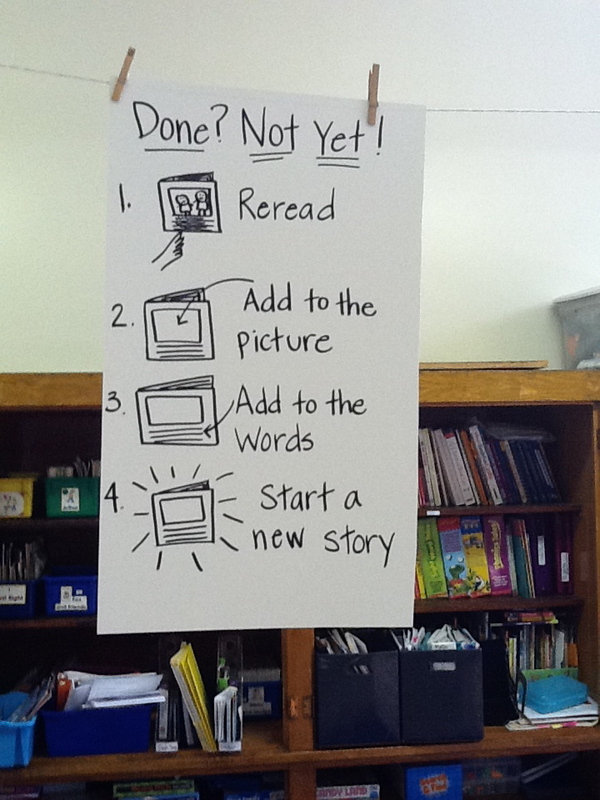 This first grade chart shows steps that writers should follow when they think they are done. The clarity of each step is reinforced with hand drawn pictures. When you add visuals, don’t feel the need to make them overly detailed or realistic, simple is really better. We here at Chartchums are pretty much obsessed with helping children become more independent. 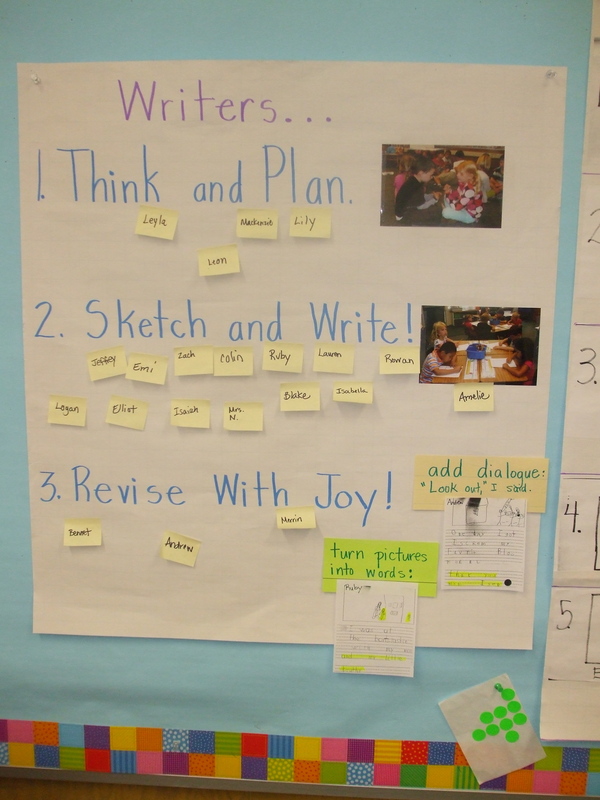 Charts are one of the main tools we use to accomplish that, but the writing center, and the writing tools it contains, are also essential elements. Note the clear labels and the accessibility. Whenever making tools for children, step back for a minute and try to see it as a 6 year old, then make sure they can find and use it on their own after it is introduced. Speaking of introductions, you might do a lesson where you name everything in the writing center with a visual as you teach its purpose. This chart is an example that reinforces that instruction. When it comes to vocabulary, never assume! 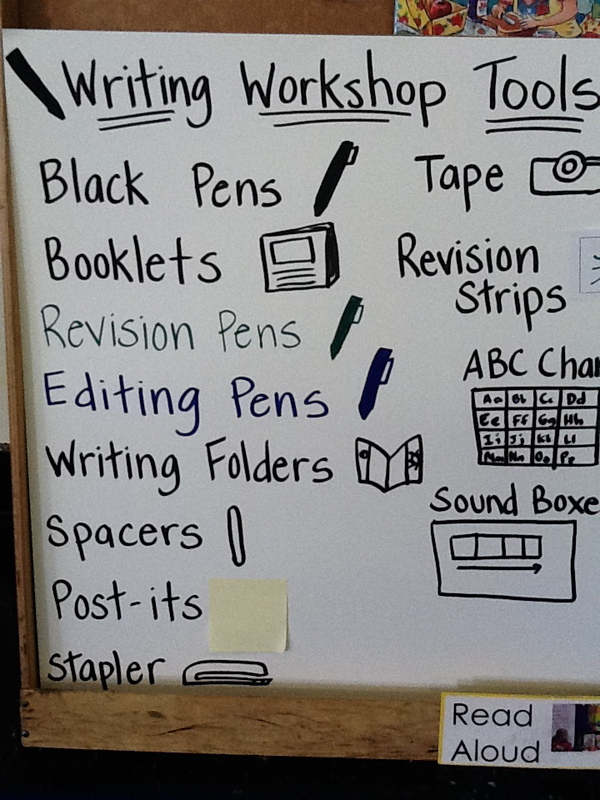 This is a quick and easy way to teach the tools of the writing center, while also teaching the vocabulary of the classroom. Think of all the places you could use this idea: math, science….the possibilities are endless! These are two different charts around the same basic concept: getting ideas. 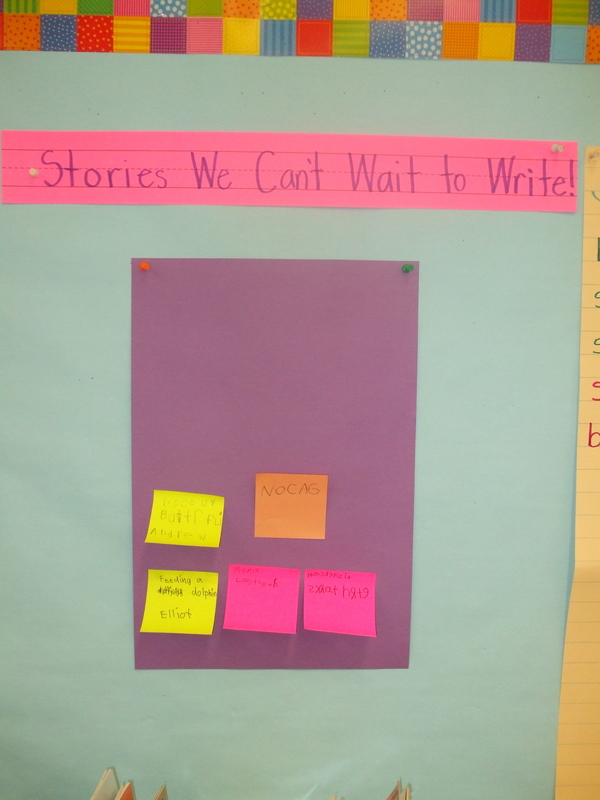 The second grade chart has more words, and the process is included on the same chart. 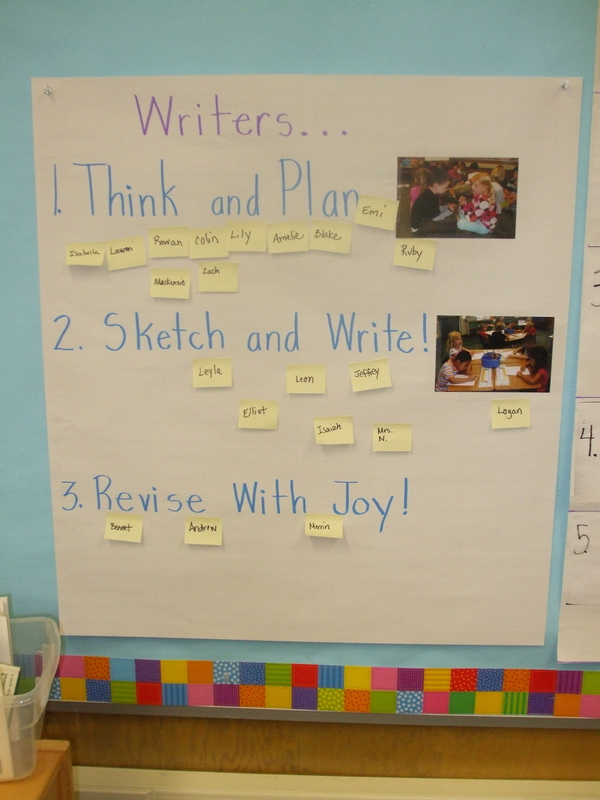 The first grade chart is only about getting ideas, and has a few ways to do that. 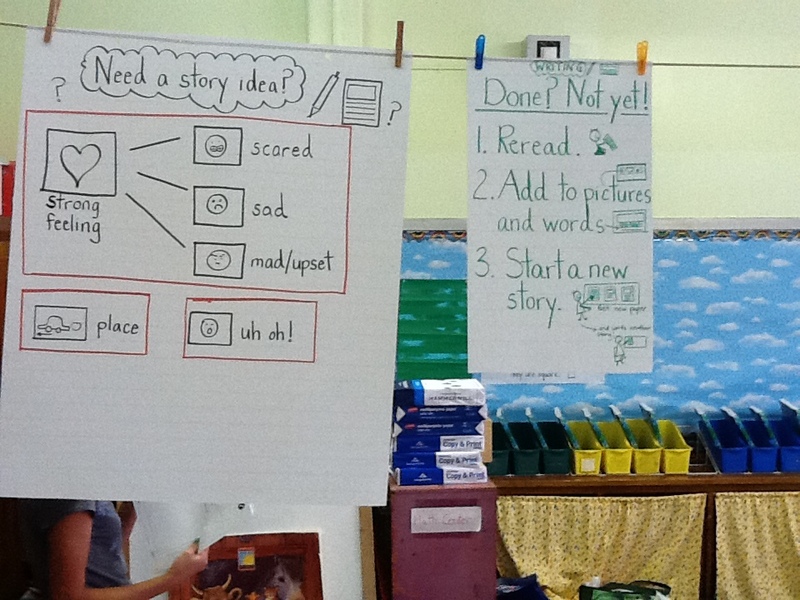 The visuals in both help all levels of writers, and the use of the actual paper on the second grade chart makes it very concrete. Whenever making charts, consider using the actual item on the chart when possible. I know when I put together Ikea furniture, I have to hold each screw up to the picture until I am holding the one that matches the illustration. Photographs and actual student work can serve the same purpose. This is a close up of a class schedule. You may not think this is a chart, but it certainly is a tool that shows children how they will proceed during the day. 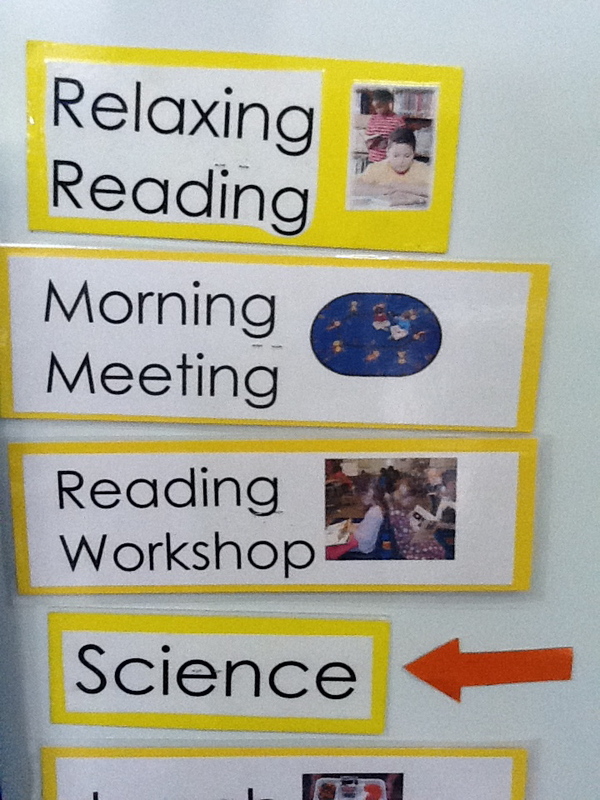 The pictures and icons make the schedule much more user friendly, and this teacher matches the icons around the room. 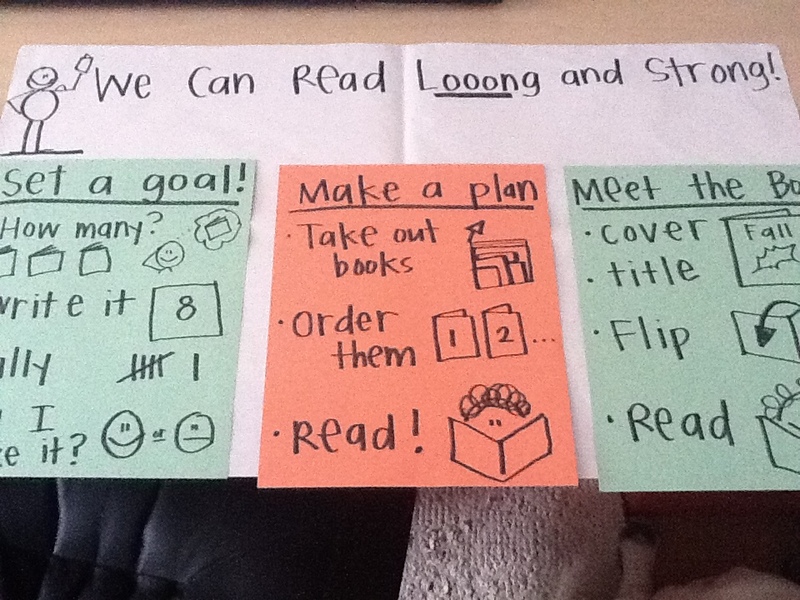 For example, the Reading Workshop label is also on the reading workshop baggies. Continuity and repetition of symbols can go a long way in helping children remember and accurately use the materials and tools in the classroom. Also, check out the arrow! What better way to draw attention to the current subject. Imagine something like that on a writing chart, highlighting a specific skill the class is learning and might want to try. 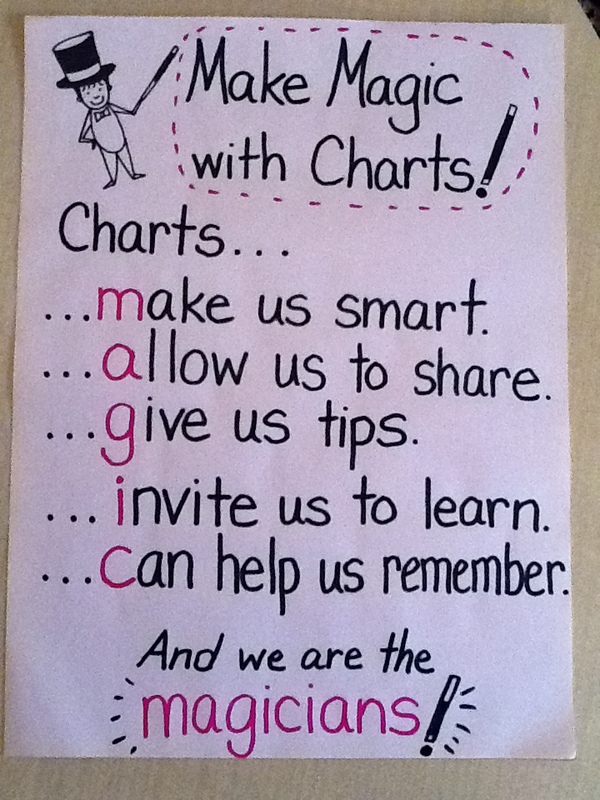 Yes, charts can indeed be magical, but only when the children using them become magicians and learn how to transform simple words on paper into powerful tools for problem solving. When children learn to use a chart to remember a forgotten procedure, to help others help themselves, or to share what has been learned with others, they become not only more confident, but they engage with learning in a pro-active, can-do way, that can lead to lifelong success in school and beyond. As primary teachers we long ago discovered never to make any assumptions about what young children understand and know about even the most basic of things. Have you ever said something like, “It’s time to end our writing time,” only to have several youngsters jump up, head to the cubbies, and start gathering backpacks, lunchboxes, and coats, thinking the ‘end’ you mentioned meant the end of the school day? Well, we can’t make any assumptions that our children will know what we mean when we say, “Use the chart to help you,” or to even know what we are doing when we write in front of them on a gigantic piece of paper that is bigger than the average first grader. Some children think charts are just for decoration (especially the store-bought ones), like the borders surrounding the bulletin boards or the art prints hanging up around the room. We know charts are more than decoration, no matter how nice we try to make them look, but do our kids know? With this in mind, we started to think about some ways teachers might introduce the actual purpose for charts that will be showing up in abundance across the school year in a way that makes no assumptions about what kids know, and don’t know, about charts. One idea is to just ask, “What are charts for?” Then listen to the responses for signs of understandings and perceptions held by the students. Don’t be surprised at the range of answers you might hear, from “What’s a chart?” to “It’s for the teacher.” Chances are no one has ever asked them this question before. This is a great way to benchmark your children’s early understandings and will help lead you in a direction built on reality, not dreams or fantasy. 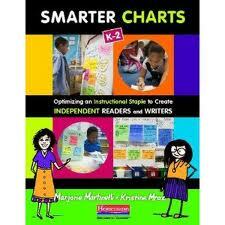 Once you have a sense of what kids know and don’t know about charts, you are ready to proceed. 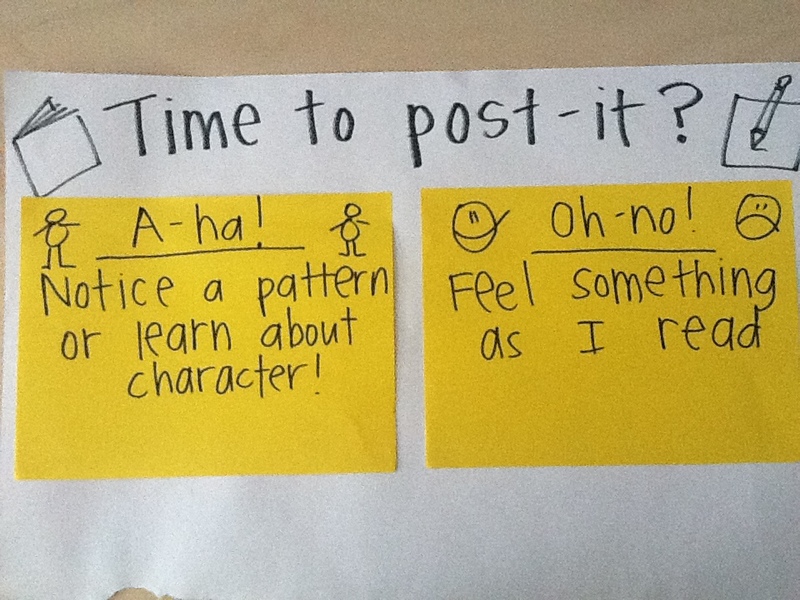 Share with your students why you use charts in the classroom. You might explain what charts are for and why we have them, how they can be helpful, and when they can be used. This then becomes one of the first charts you might create in your classroom. It can be created first orally, then made more permanent using shared writing or interactive writing, then reinforced through shared reading. Below is an example of one such chart created using such a sequence. As the teacher looked over some of the key points the word ‘magic’ began to appear. She then organized the points as an acrostic and it became one of the shared reading texts read together across several days. This type of chart is important early on, but is rather short lived once the children understand the purpose and intent behind the chart and why we see and use charts in the classroom. The beginning letter of each key point spells out "magic." We are pleased to present the first of (hopefully) many charts from ACTUAL classrooms. 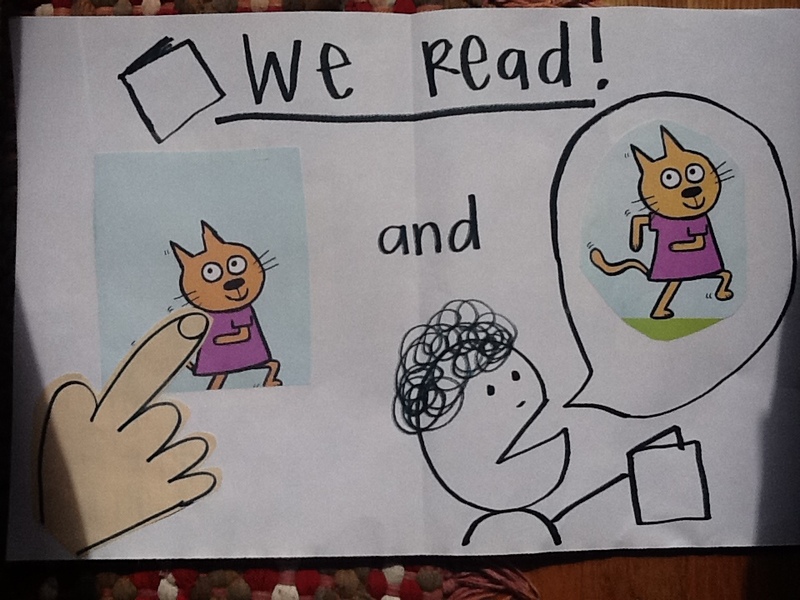 This one is from the fabulous Erik Anderson of Blaine Elementary School in Seattle. First a word about Erik, Erik is an intuitive, generous, kind, and brilliant second grade teacher. There is much to be impressed by when you talk with him, or watch him interact with children. One of the things that always strikes me is the depth of knowledge he has about each child: their likes and dislikes, family, friends, things big and small. His students adore him, and his teaching is impeccably matched to the faces in front of him. His thoughtfulness and knowledge about the specific children he has this year pop out in this chart. Shall we look a little closer at the amazing things Erik has done? Second, this chart has options! 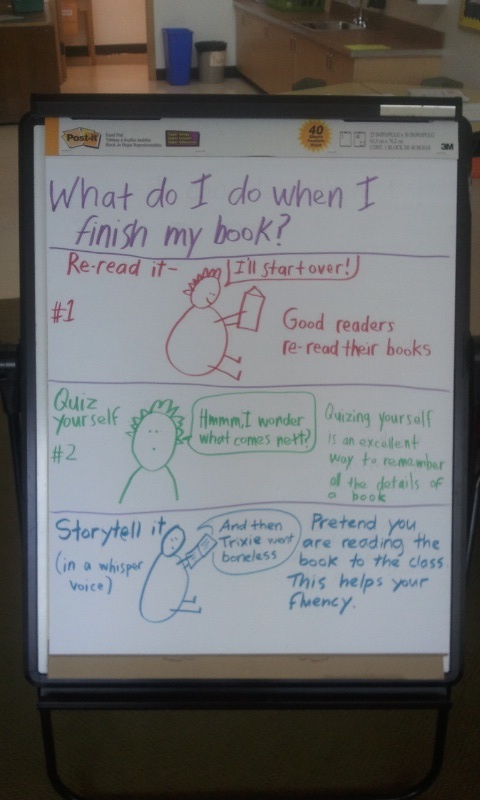 This is a great example of a repertoire chart in that there is one big idea (you can do things with your book even when you finish reading it) and several options: reread it, quiz yourself, and storytell it. 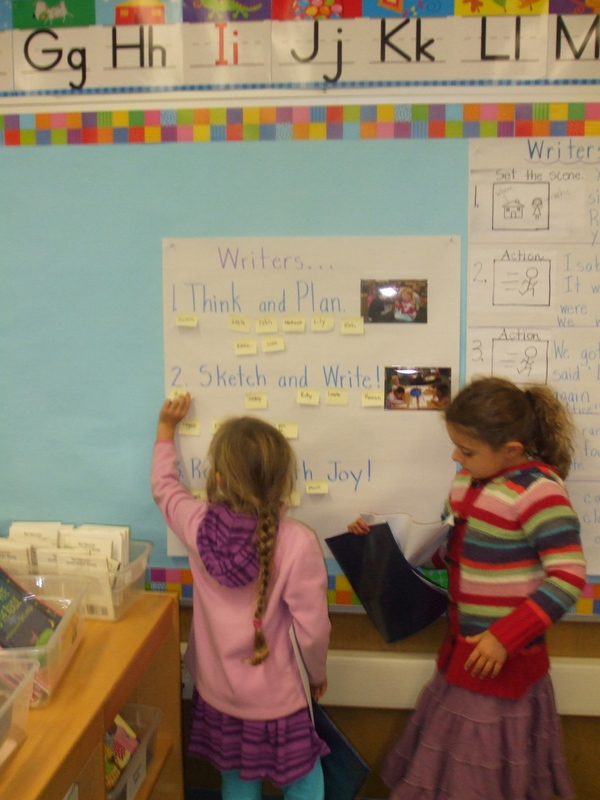 Children can all achieve the big idea in a way that matches who they are as reader. This is a nice example of Erik’s thoughtfulness about who is in his class, he has drama bugs who will want to act out, and competitive spirits who want to challenge themselves to see what they remember. You can imagine how Erik could add even more choices over time! Third, look at those illustrations! Engaging, show some internal thinking, capture a big concept in a few simple lines- a great way for children at all reading levels to independently access the chart. And the last thing that we will mention, though we could go on and on and on, is the lovely little addition of WHY! Too often we say what to do, but we don’t give reasons. This chart, in simple second grade friendly language, gives reasons why I might decide to storytell it or quiz myself. So smart! Drop a comment here to share your love of Erik’s chart, and send your own charts to chartchums@gmail.com. We are trying to stay seasonal, so we have a few charts on hold to show later in the year. 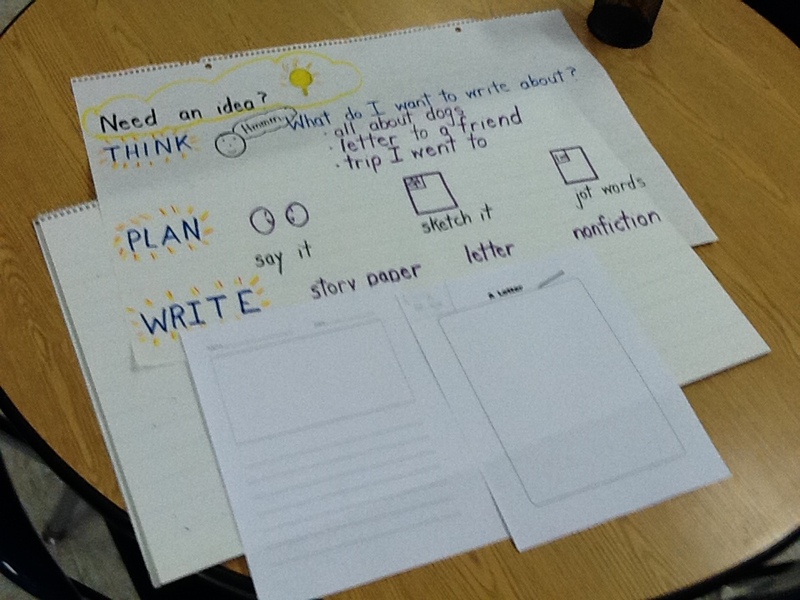 Now we are looking to showcase beginning of the year type charts!